Aoturoa (pronounced Ow-tu-roa) means World of Light and is a privately owned luxury lodge, nestled on 50 acres of river flat in the valley between Queenstown and Lake Wanaka on the banks of New Zealand’s 2nd largest river, the Clutha. Aoturoa is a modern two-story lodge offering boutique accommodation. Catering for bed and breakfast plus dinners on request.Ther are mountain views from every room. 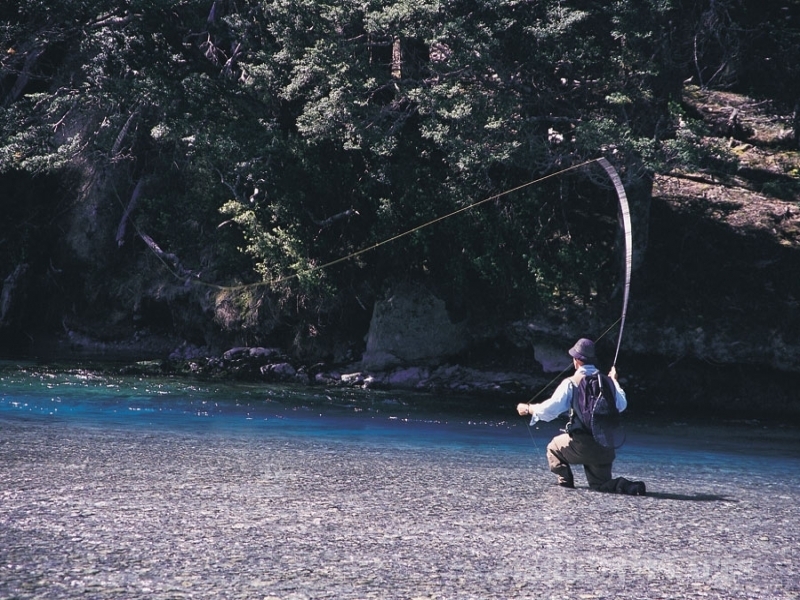 Aoturoa offers more than accommodation with 50 acres to explore, trout & salmon to fish for, and barely a building in sight – a perfect place to unwind. Jon and Lesley, your hosts, are New Zealanders who have lived overseas & travelled extensively. They built Aoturoa in 2002 and love living here It’s a place of extraordinary contrasts in a stimulating landscape. So much to explore. A photographer’s dream. Aoturoa has a strong focus on the regions outstanding food & wine. It is an ideal base to experience the internationally renowned vineyards with cellar door wine tasting. Lake Wanaka township is a short 15 minute drive away and fun for boutique shopping, visiting great cafes, restaurants, bars & art galleries or treating yourself to a spa treatment. With Mt Aspiring National Park on the doorstep & the magnificent Lake, outdoor enthusiasts have lots to choose from – hiking, biking, fishing, jet boating, kayaking, climbing, skiing & snowboarding. There is good dry fly fishing in the Clutha River for Rainbow and Brown Trout. For those wishing to learn about fly-fishing we offer an introductory course with casting tuition on our lawn, followed by practice and fishing at the nearby river. Aoturoa has fly fishing equipment available. For Wilderness Fly Fishing around the lakes and rivers in the area, we can recommend experienced guides.